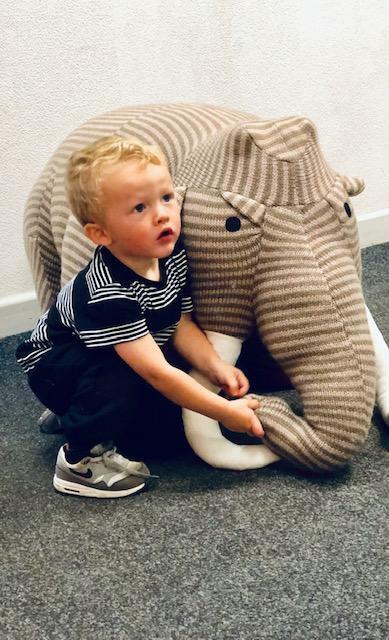 This Giant version of our knitted mammoth soft toy is sure to be a giant hit and would look fabulous in any dinosaur mad child's nursery or bedroom. This is one dinosaur toy which definitely has the wow factor! Dinosaur toys for toddlers don't get much bigger than this! Please note that if our Giant Dinosaur Toys are out of stock, they are available for special order. Please email or phone us to check delivery time. Have you seen our mammoth dinosaur card?